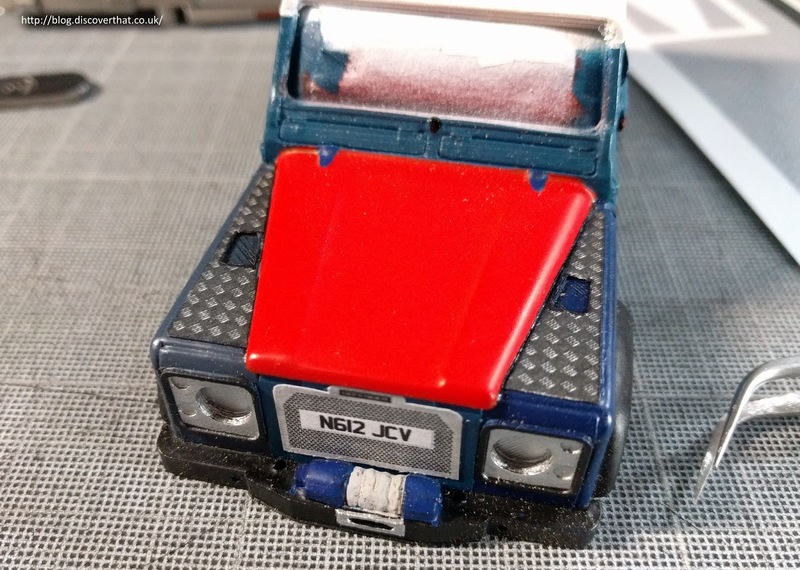 I've done a little more on the two Defender slot cars I have been working on. 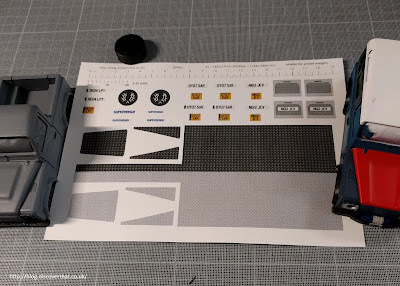 I've created a decal sheet but instead of using the water slide paper, I have deliberately used normal paper. 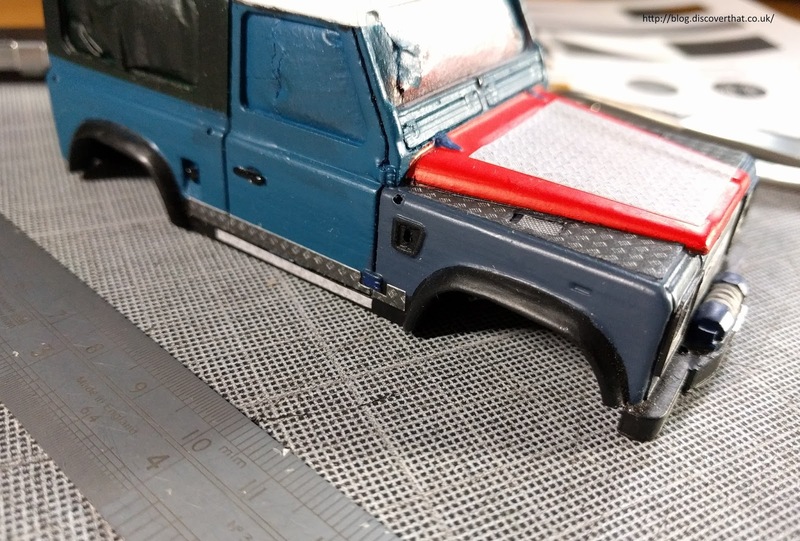 Number plates and the aluminium checker plate used on Andy's Defender 'Joe' 90 have a visible thickness. The idea is that the slightly heavier paper will look like the thin sheets that are attached to the surface of the car bodywork. 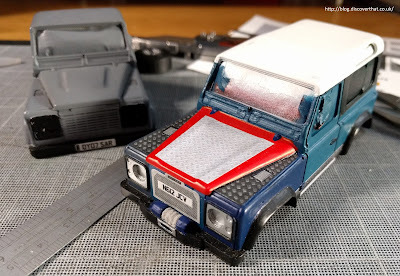 I've fixed the paper to the model using PVA type white wood glue.